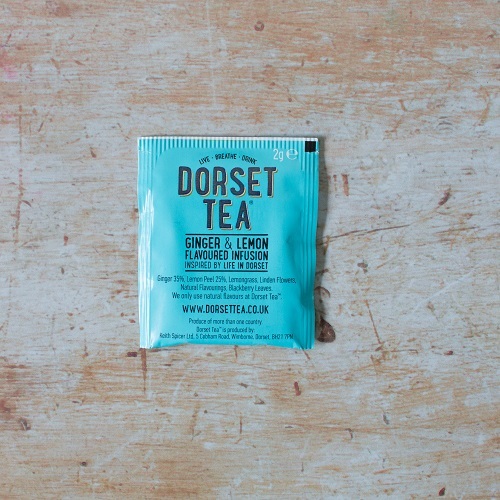 With warming ginger and zingy lemon this herbal infusion is as glorious as a Dorset sunset. Pack contains 20 tea sachets, total weight 40gms. Ginger 35%, Lemon Peel 25%, Lemongrass 17%, Linden Flowers, Blackberry Leaves, Lemon Flavour 5%, Lime Flavour 2%. 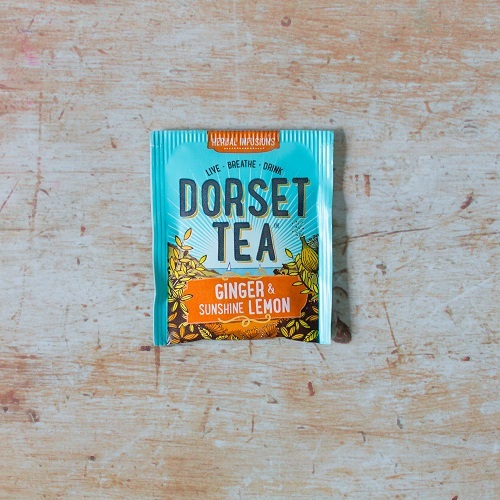 Just follow these 3 simple steps for the perfect Dorset herbal tea infusion. Best tea I've tasted by a very long way - yum! Best I've tasted with soft taste of ginger complimented with tabg of lemon. Unsure where I can buy locally in harrow, middx.